Take-Two and Rockstar's PS3 exclusive Agent could still happen - but probably not on the PS3. Remember Agent, Rockstar's Cold War-themed PS3 exclusive? No? That's probably because work on the stealth action title began back in 2007, and aside from a few details announced at E3 2009, there's been radio silence regarding the project. 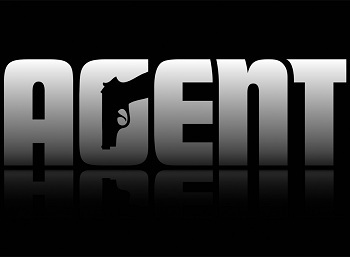 But Agent might have just been waiting for the perfect moment to strike: Take-Two just extended its trademarks on the Agent IP, just a few weeks prior to this year's E3. Despite the lack of details about the game, Agent immediately turned heads due to its developer and unique premise. The original announcement teased a "paranoid journey into the world of counter-intelligence, espionage and political assassinations during the height of the Cold War at the end of the 1970s." It seems Agent is too stealthy for its own good, however. The 2009 announcement was followed by two quiet years. Take-Two confirmed in 2011 that the game was still in development, and registered trademarks on the name last year, but the PS3's entire lifespan has come and gone with nary a screenshot to be seen. Does this trademark extension mean we could be seeing a big reveal at E3? Rockstar claimed that Agent would be "genre-defining" when the PS3 was young; would the same promise hold on the PS4? Or is Take-Two just sitting on the trademark because it's a cool name? Whatever the truth is, Agent will probably remain undercover until Rockstar is sure it's ready for the spotlight. This might be the rumored R* game that Sony will present at this years E3. I remember them hyping this up as the game to do to the PS3 what GTA 3 did for the PS2. Cant see this being an exclusive anymore. Its taken so long that if and when its released they will need to make money to cover the costs. So im thinking PS4/XB1 and maybe PC. Sounds like a good game, well, mostly just the idea of a deep story/plot would be great.